It might be a long way from Denver to Dublin, but there's a strong bond between the Lumineers and U2. 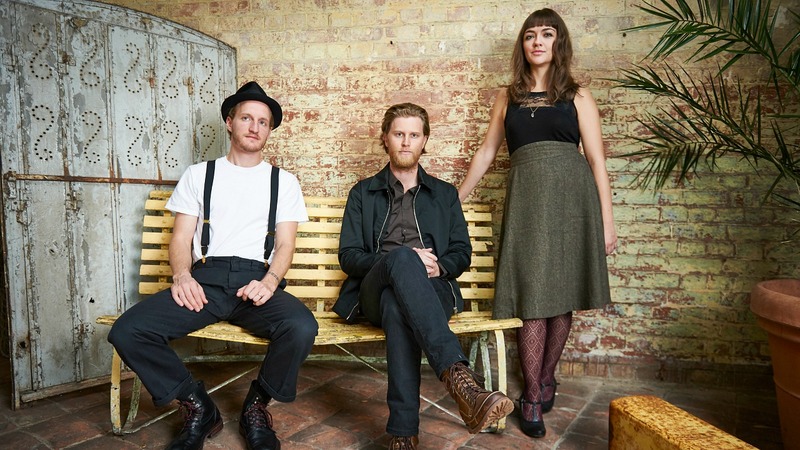 Both are platinum-selling bands that look to big ideas, literature, and romantic rumination for inspiration — the Lumineers' second album, Cleopatra, draws delicately from Shakespeare's canon and small town life. Each group opts for radical left turns and tangents in the studio, never choosing the easiest or most predictable path. And in the spring of 2017, the Lumineers opened for U2 in the U.S. for the Irish band's grand tour commemorating the 30th anniversary of The Joshua Tree. The Stateside leg of the journey with the Lumineers wraps at Metlife Stadium in East Rutherford, New Jersey, on June 28 and 29 — a mere 18 miles away from the town of Ramsey, where singer and guitarist Wesley Schultz and drummer and multi-instrumentalist Jeremiah Fraites first began playing music together as two Jersey guys with a dream. Cellist Neyla Pekarek joined them in 2010 after Schultz and Fraites moved to Colorado. The crosscountry gallop with U2 has enabled the Lumineers to play before massive crowds, with over 85,000 attending each show at Pasadena's Rose Bowl alone. They've also gotten some good advice from the rock veterans; as Schultz told Rolling Stone, before their Rose Bowl show Bono wryly observed, "It's very appropriate that it's a stadium, because going into it is like a gladiatorial combat situation where you have to win the crowd or you get killed." Since Fraites has such a special vantage point as part of one of the biggest tours of 2017 — and two big homecoming shows in the Garden State this week — FUV asked if he might weigh in on his "Five Essential U2 Songs" for FUV Essentials. Fraites kindly obliged and sent on this perceptive list from the road. The first time I heard "Where the Streets Have No Name" was probably sometime around in high school. I was at a party and it came on. The low organ synthesizer drew me out of the room where everybody was congregating closer to one of the speakers. I put my ear right next to it so that I wouldn’t miss one second of the symphony emanating from them. In the distance, and seemingly from out of nowhere, this incredible delayed guitar started to get closer and closer to my ears. I think this is one of the best rock intros of all time. Everytime I hear it makes me want to sprint five miles without stopping. To no surprise, this song is the second most popular U2 song (according to iTunes anyway), a close second to "I Still Haven’t Found What I’m Looking For." For such a massive song, my absolute favorite part comes around 1:09 into the song. Guitarist Edge does this amazing palm-muted “chic-chic” seamlessly into the next verse. Everything from the beautiful poetry to the incredible hi-fi production. This tune is truly a work of art. We are having the massive pleasure of opening up for U2 in the U.S. Every night they have been starting their set with drummer Larry Mullen Jr. slowly sauntering out to the b-stage in the middle of the audience. Without warning, the lights go black, and a spotlight shines on him perfectly as he starts with "Sunday Bloody Sunday." My god. What an iconic drum beat. Being a drummer, you hardly ever get recognized for your drum beats; when this song starts, anybody with a pulse knows exactly what song this is within milliseconds. Bravo Larry Mullen Jr. You’ve obtained the unobtainable. It’s such an incredible song. Hearing it today makes me appreciate the genius of a band that can stay in touch with contemporary audiences while still relying on older tunes of theirs. According to my math, this song is about 37 years old and when played live, it still seems like it’s not even close to feeling dated. "Beautiful Day" is one of my favorite U2 songs. It features angelic, reverbed Bono vocals that hover and float on top of the track throughout. I mentioned earlier "Where the Streets Have No Name" having one of the best intros of all time. Well, here at the other end of a song, I think this features one of the best outros of all time. Some sort of synth takes the listener into a beautiful oblivion. The song also features an electronic drum sample paired with actual drums. The fact that this idea worked on both a production and technical level is a real accomplishment in my book. Read all of FUV's Five Essential Albums and Songs.